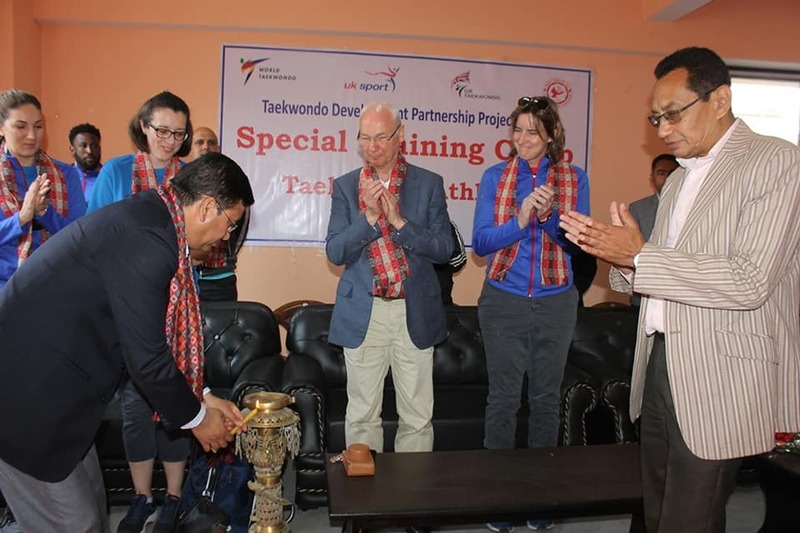 President of NOC/Member of Parliament Honorable Jeevan Ram Shrestha was the Chief Guest in the opening of Special Training Camp under Taekwondo Development Partership Project on Satdobato, Lalitpur. The 5 day special training will be held in Taekwondo Academy from Monday. A total of 50 participants from seven provinces, three departmental teams and para- taekwondo are taking part in the training which is being conducted by coaches and athletes from United Kingdom. Honorable President Shrestha said that this program will be very helpful for the 8th National Games and for the 13th South Asian Games. UK Sports President and five time Olympic medalist Dame Katherin Geringer, Prakash Rana who is the President of Nepal Teakwondo Association were also present on the occasion.